Sliders are awesome… it’s as simple as that. 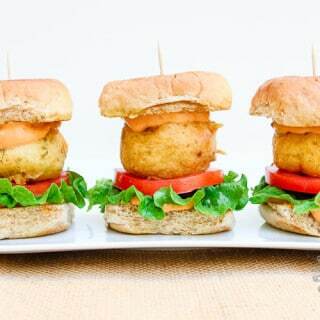 Mini burgers, full of many flavors, and perfect to serve at parties and potlucks. Growing up, I always thought they seemed so much fun to eat, when I saw them served at restaurants and parties, but never being able to enjoy them. 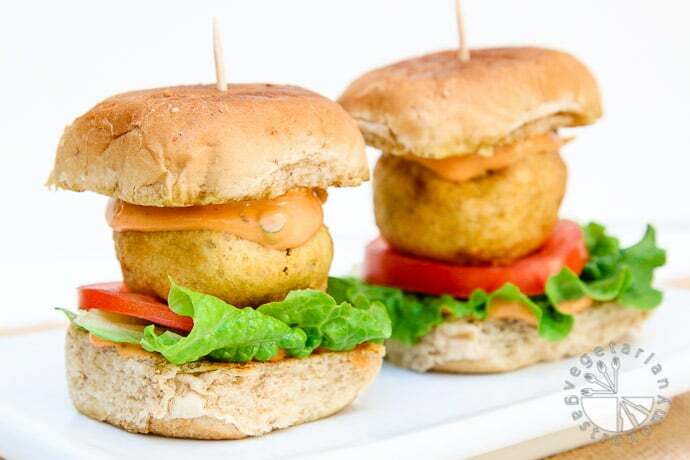 Years later, I took matters into my own hands and enjoyed some vegetarian versions and loved the concept of these mini-burgers, especially to serve at parties. When I was growing up, my mom frequently made us her version of Pav Vada, a traditional Indian street food or snack composed of a spicy potato filling fried in a chickpea flour batter sandwiched between bread. We enjoyed them along with a few different chutneys such as garlic, sweet date and tamarind, or cilantro-peanut. This simple dish is awesome, to say the least, and is one of my favorite Indian street foods! I’ve had intentions of re-creating my mom’s version of Pav Vada for all of you for quite some time now, but simply never got around to it, until now. When trying to come up with bite-sized dishes to serve at our annual Holiday Party this past December, these potato burgers instantly came to mind, especially when thinking of some heavier and more filling dishes to serve. In sticking with the ‘bite-sized’ theme, I quickly came up with the idea of making my mom’s Pav Vada with a slight twist. Out came these amazing sliders! 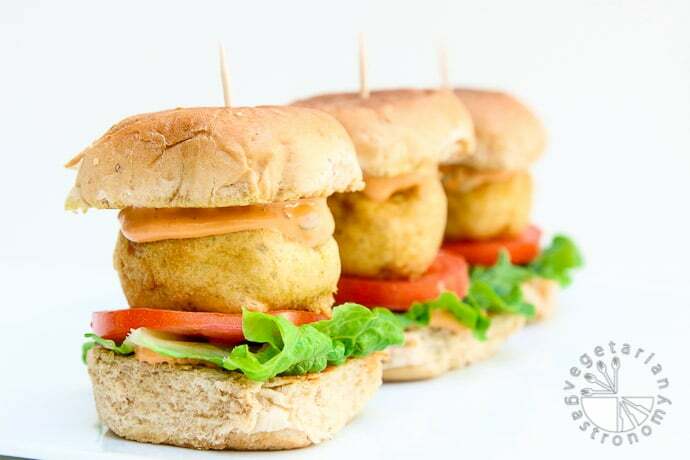 The main component of the sliders are of course the Potato Fritters. They are made with lots of garlic, some ginger, and a few basic spices and herbs, combined with cooked mashed potatoes to form small round balls. Each ball is coated in a chickpea flour batter and fried to make a wonderful Potato Fritter patty. This was just around the time I had developed my Chipotle Green Onion Aioli, and after experimenting with several different chutneys, including the traditional ones typically served with Pav Vada and another aioli flavor (recipe coming soon), I decided to go with my Chipotle Green Onion Aioli as a spread. The flavor of the aioli combined with the Potato Fritter was just unbelievable! It was the perfect twist, to an otherwise traditional dish. For the bread, I found some perfectly sized cracked wheat mini slider buns at my local Sprouts Market. Of course, any slider bun or gluten-free bread would work as well (my brother enjoyed these with his favorite gluten-free bread). 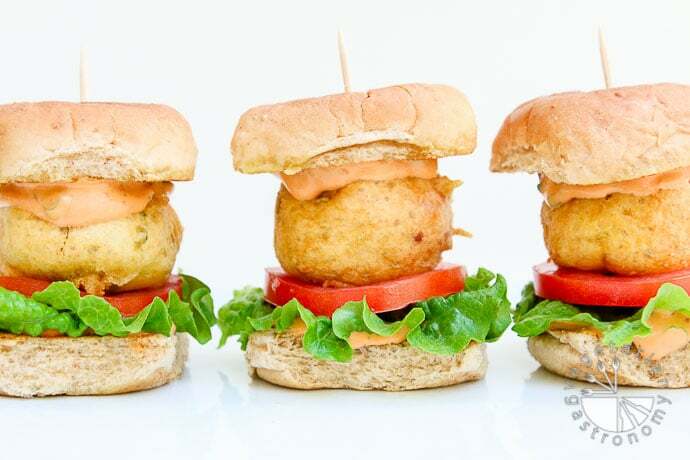 I grilled both sides of the top and bottom buns, added my Chipotle Green Onion Aioli, a Potato Fritter, one slice of tomato, and one piece of romaine lettuce to make myself the perfect mouth-watering Vegan slider! The potato fritters can actually be made ahead of time and refrigerated, or even frozen. When needed, simply take them out, defrost in the fridge, and toast them in the oven at 350 until hot and crispy again. Since the aioli is slightly spicy, my 4 year old enjoyed these sliders with some ketchup (whereas my 2 year old actually loved the spicy aioli). They are perfect to make for any party, pot-luck, or have on hand to put together for a quick meal. 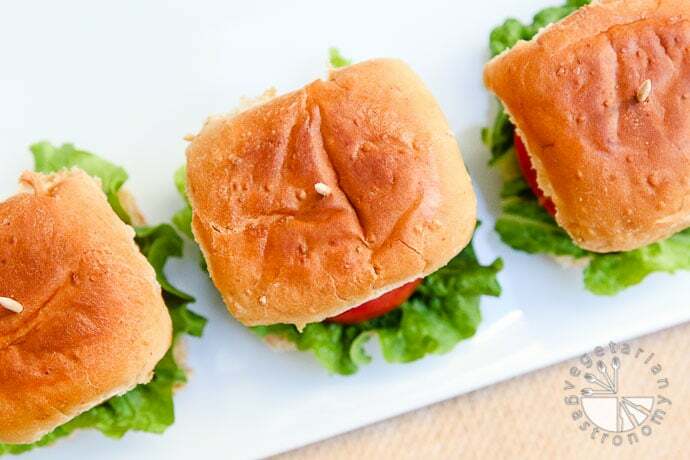 I’ve made these sliders several times for many friends and they’ve all loved it, many of whom have had the traditional version of this dish as well. Needless to say, these sliders have been a huge hit. I’ve been wanting to get the recipe up on the blog for you guys for quite some time, but kept forgetting to write down the exact measurements of all the ingredients when I made them. 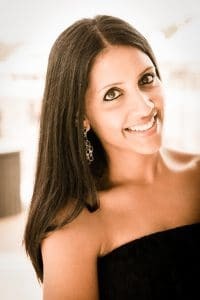 A few weeks back, I was approached by someone who worked for a new South Asian Lifestyle Magazine, called The Society. The Society is an online lifestyle magazine that delivers inspirational information, chic entertainment, and South Asian traditions with a modern twist to the young, creative, and modern South Asian generation. Their mission is to be a South Asian digital platform that highlights the ways in which modern and traditional coexist by curating, producing, and delivering lifestyle content in an easy, beautiful way. They feature topics ranging from Style/Beauty, Food, Design, Travel, and more. One of the writers for the magazine is a follower and a huge fan of my recipes and website. It’s also been a pleasure to work with her. She had tried out a few of my recipes and loved them! 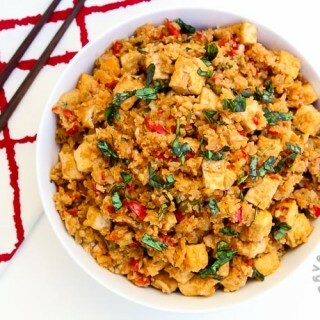 So she wanted to feature one of my Indo-Western recipes, something that was easy to make with a touch of East meets West. 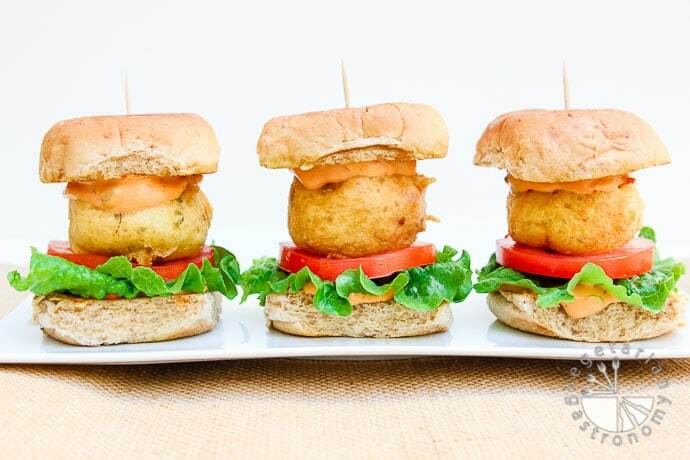 When I presented her with these sliders, she thought they were a perfect spin off on a traditional Indian Dish, and so I went off to perfect these sliders for all of you and for the feature. They featured these sliders in their magazine yesterday, so please check out the feature on their site! The recipe is also listed at the bottom of this post for all of you. I hope you enjoy them as much as we do! This is my spruced up version of a popular Indian street food! 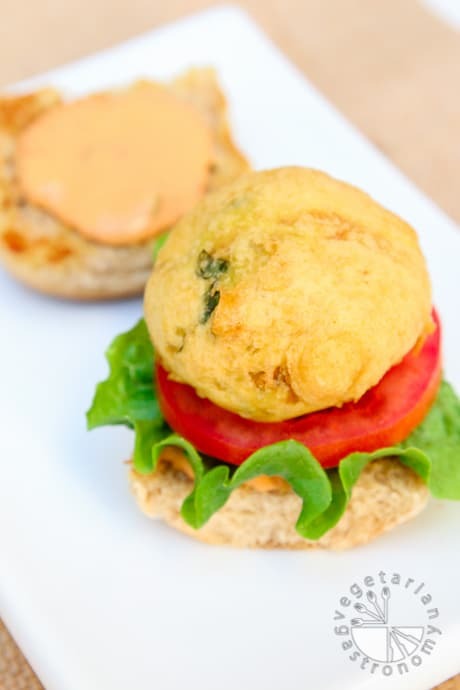 It's a potato fritter with chipotle aioli for the perfect slider! Completely cook the potatoes by boiling in water or using a pressure cooker. Heat 2 tbsp cooking oil in a non-stick pan on medium heat. Add the mustard seeds. When they start to crackle, add the asafetida (if using) and sauté for a few seconds. Immediately add the minced garlic, ginger, and fresh jalapeno (if using). Sauté for ~30 seconds or until fragrant, mixing frequently. Add the potatoes, turmeric powder, lemon juice, chopped cilantro, and salt (to taste). Mix well. Remove from heat and cool completely. During this time, you can prepare the Chipotle aioli . Divide the potato mixture into ~22-24 portions (~2 tbsp filling each). Shape into round balls and set aside. Heat enough oil in a frying pot on medium to high heat (I typically use avocado oil for frying). Whisk all the ingredients for the batter in a mixing bowl until smooth. Check if the frying oil is hot enough by dropping a tiny amount of the batter into the hot oil. If the oil is hot enough, the batter should immediately fry and float to the top. 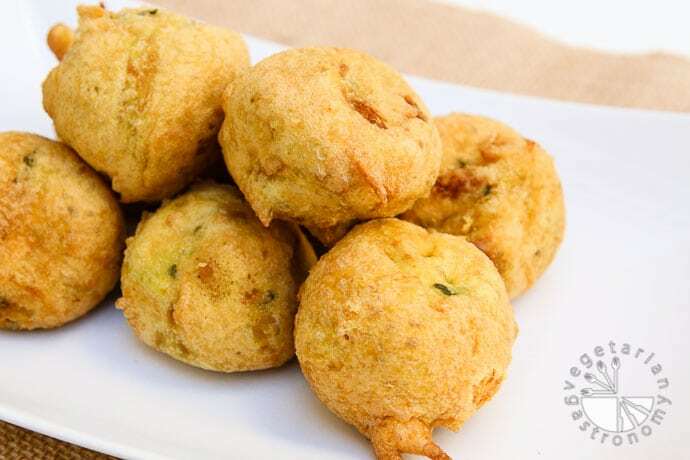 Once the oil is hot enough, dip each potato ball into the chickpea flour batter and quickly roll to coat using your fingers. Shake off the excess, and carefully place in the hot oil. Fry, turning occasionally, until golden and crisp on the outside. Using a frying spatula, transfer to a paper-towel lined plate to drain. Depending on how large your frying pot is, you can fry a few potato fritters at once. Heat some butter in a large pan over medium heat. Add the mini slider buns and grill on both sides until toasted. For each slider, spread 1 tbsp of the prepared chipotle aioli on the bottom half, top with one piece of lettuce and one tomato slice. Place the potato fritter on top of the tomato slice. Spread another 1 tbsp of the aioli on the top half of the bun and close. Repeat with the remainder of the potato fritters. Gently smash and enjoy! Prep-Ahead Tip - The potato fritters can easily be made ahead of time and stored in the fridge or freezer. When ready to use, simply defrost (if needed) and bake at 350 degrees in the oven until toasted, making this a quick vegan meal to prepare for a dinner party! 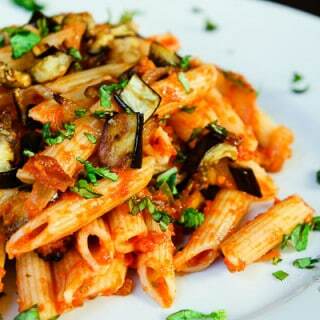 Gluten-Free - Depending on the brand, asafetida is not always pure in form and therefore not necessary gluten-free. So omit in case you are not sure. Also be sure to use your favorite gluten-free bread. Made these for brunch today were a big hit! Only thing u changed was I made the party more flat instead of round. Loved it!! =) Awesome! Great to hear you guys loved them! Did you also make the aioli to go with it? These are great, because you can also make the fritters ahead of time and freeze for use when you need a quick meal! Thanks for trying out this recipe! It is good bite size burger. Kids like it too. Flavors were great but I obviously did something wrong! The potato mixture was so soft it just fell apart in the thick batter. Is there supposed to be a binder like flour in the potato mixture? Did you use a deep fat fryer or pan? Thanks! Oh no so sorry! No there is no flour in ths potato mixture...just the potato and some seasoning. Perhaps there was too much moisture or did water get in somehow? Or did you make sure to let the cooked potato cool completely before forming into round balls? The potato mixture itself should be in round balls and hold well since it's just mainly potato...were you able to make this? If so then when dipping it into the chickpea flour mixture, it should not fall apart. I used a regular frying pan...nothing really deep or fat, but big enough so that the fritter did not touch the bottom and fried in the oil. Let me know! These are amazing and freeze well! I made these tonight and they're very tasty! Buuuuut I needed a splash more water in my batter because it was basically glue with your ingredients. I think I added 1/4 C more...just a splash from the water I was drinking while cooking. Once it loosened up it helped, but I still was careful with dipping the potato balls; I only lost one to the batter glue! I would encourage other cooks to almost over-salt the potato mixture. 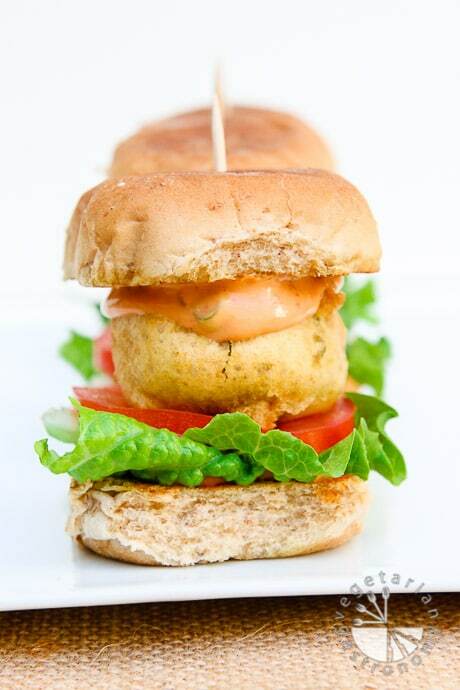 It really helps the flavor come through after it's fried and paired with all the slider toppings. I also would encourage making only one batch of the aioli - it made almost over a cup worth which is plenty for the 24 sliders (for us anyways!). If you want to be tedious like me, I weighed the potato mixture to figure out how to make exactly 24 by weight so I didn't have an awkward left-over amount or accidentally make them too small and have too many. My oil was about 350-375 F when I thought it made the best fritters. So glad you loved them and thanks for all the notes!! I've made this recipe a few times with the measurements, so I'm not sure why your mixture was so thick, but i'll try it out again soon next week just to be sure! Weighing is probably the best way to write recipes in general, but I just don't typically cook that way which is why. And yes...making sure the potato mixture is well salted before dipping and frying is key...I'll be sure to note that if not already. Thank you so much for all the other notes!